Watercolor over pencil on vellum. Gift of Edwin de T. Bechtel, 1953. Signed at lower left, in gold, "P. J. Redouté". King Louis XVIII; Duchesse de Berry; her sale; Orleans-Braganza family; sale 1949; Pierre Beres Inc.; Edwin de T. Bechtel. 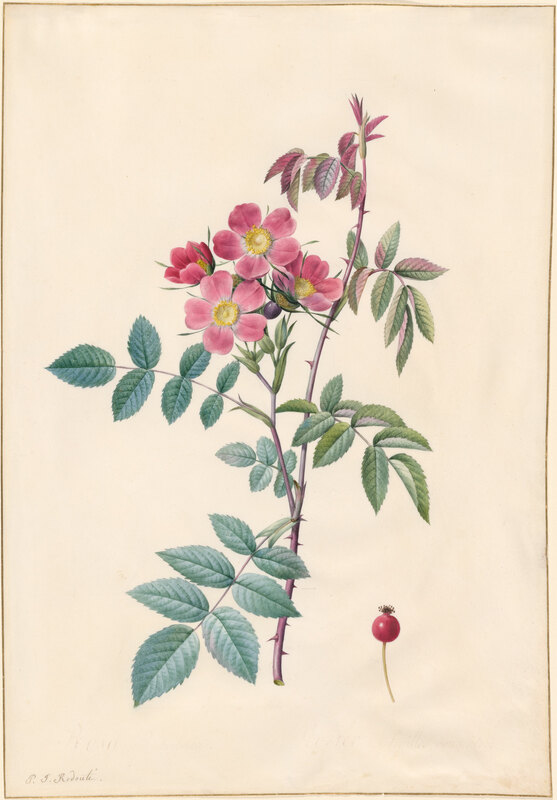 This is a preparatory drawing for "Les Roses", 1817-24, Vol. I, opp. p. 32. There is another preparatory sheet for the same publication in the collection of the Library (Acc. No. 1953.7).